How to decide on what feature to build next for your product? One of the best way to learn from your customers is to form a small community (focus group) for your product that will help them keep coming up with things that they might use. What feature should we focus on next? While the answer to this question can be arrived at easily, there is nothing that backs up your answer other than your own gut feeling or a couple of emails from your customers. Allowing your customers to vote on features that many other customers are wanting clearly shows you where the demand is. 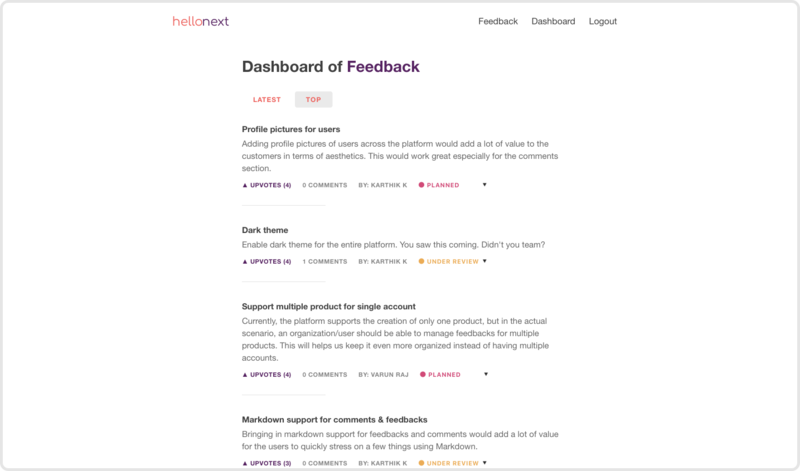 If you believe you want to make data-driven product decisions from the people who would pay for it, try out hellonext.